Leon Carter of ESPN and the Sports Journalism Institute speaks on NSU campus Sept. 28 at 3 p.m.
Leon Carter helped create the Sports Journalism Institute, a program designed to improve diversity in our nation’s print and digital departments. Norfolk State University hosted the first class. The Institute recently celebrated its 25th Class during the NABJ Convention in New Orleans. 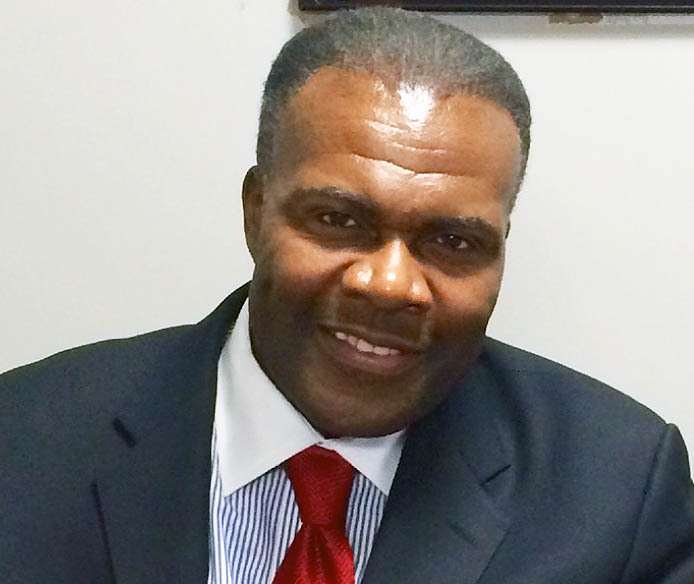 As part of its MCJR Week conference, the Department of Mass Communication and Journalism is hosting distinguished alumnus Leon Carter, class of ’81, ESPN VP and founder of the Sports Journalism Institute. On Thursday, Sept. 28, Carter is leading an MCJR Week session at 3 p.m. in room 138C of the Student Center on the campus of Norfolk State University for aspiring sports journalists looking to break into the business upon graduation. Carter helped create the Sports Journalism Institute, a program designed to improve diversity in our nation’s print and digital departments. NSU hosted the first class of the institute. SJI recently celebrated its 25th Class during the NABJ Convention in New Orleans. (The video presentation from the conference is available below.) SJI has launched the careers of more 300 college students. Carter, a 1981 graduate of Norfolk State University, currently serves as a vice president at ESPN. Carter, a former editor-in-chief of the Spartan Echo, began his career in ’81 as a copy editor at the Louisville Courier-Journal in Kentucky. In 1984, he joined the sports desk at Newsday in Long Island, N.Y. In 1992, he was Freedom Forum’s Journalist-in-Residence at Norfolk State, where he spent 16 months mentoring and teaching. In 1994, Carter joined the New York Daily News as an assistant sports editor, and in 1999 he was appointed the executive sports editor. Over the next decade, the Daily News’ sports section won numerous national awards and was considered one of the best in the nation. In 2010, Carter joined ESPN and helped launch ESPN New York. Today, he oversees the copy desk in Bristol and Los Angeles as well as the blog and personalization desks. Despite his many professional accomplishments, it is his work with SJI that Carter is most proud of. “It’s a tremendous feeling to give something back,” he says. Carter has been honored twice for his work with SJI. In 1999, he received the Legacy Award from NABJ. In 2015, he received the prestigious Honor Medal from the Missouri School of Journalism. Tags: #LeonCarter, #MCJRWeek, #SportsJournalismInstitute, ESPN, Leon Carter, MCJR Week, Norfolk State, NSU, SJI, Spartan Echo, Sports Journalism Institute. Bookmark the permalink.